My search for dog love – Mario comes home! I lived without a pet for three years. Those years were bad since I am the only child of my parents, I did not have anyone my age to talk to, play, share secrets. I pleaded to my parents to get me a dog. But “NO” was always the answer because my grandmother was not comfortable with pets. I was really sad for those three years. Then finally one day, I started crying for a dog and my grandmother relented and said yes. I was so happy. I was scared of dogs as I never had courage to go near a dog but when for the first time on March 30, 2015, I saw Mario at a family friend’s place, and I knew he was mine. So, without hesitating, I went and picked him up and he sat on my lap. I noticed that he did not have one paw. My father’s friend allowed me to take Mario home for an hour. I was so happy! We got him over to our house and he seemed quite comfortable We asked if we could adopt him and they agreed. Mario was six months old at that time. Later, we came to know that at a very young age, Mario had to get his left fore pawamputated due to an accident and he generally fell sick. So his owner thought to give him to somebody who could take special care of him. When my father told her that how much I loved dogs, then she decided to call me over and play with him. about dogs, breeds and many more interesting facts about dogs. He slept peacefully on his bed given by his earlier owner with few of his other belongings. Mario became a part of our family. http://www.dogsandpupsmagazine.com/wp-content/uploads/2016/09/9.jpg 195 192 Dogs and pups Magazine http://www.dogsandpupsmagazine.com/wp-content/uploads/2017/05/1254nal.jpg Dogs and pups Magazine2016-09-17 11:03:042016-09-17 11:03:04My search for dog love – Mario comes home! Zoey, an adorable and full of love Labrador, was abandoned by her former family at five months of age. Their reason was they weren’t aware of the commitment required to care for a pet. Luckily, she was rescued in the nick of time by YODA (Youth Organisation in Defence of Animals) who sheltered her temporarily. Owing to Zoey’s young age and energy levels, YODA decided to find her a foster home so she could be showered with constant TLC (True Love and Care). 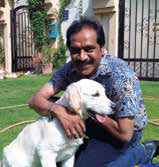 That’s when Zafar Rais, CEO – MindShift Interactive, came across Zoey on a Facebook post by YODA, and instantly wanted to foster her until she found a permanent haven. The workaholic that Zafar is, Zoey followed him to work where she was showered with cheer and happiness by all. The Mind Shifters (that’s what the MindShift family is called) loved having Zoey around, and she managed to charm everybody with her innocent eyes whilst turning out to be a great de-stresser for all through the chaotic life of an agency. 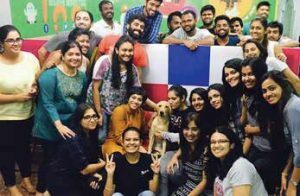 On hearing her need to find a forever home, the MindShifters got together and used their digital marketing expertise and influence to go all out in creating plenty of buzz amongst the pet-loving fraternity of Mumbai, in collaboration with YODA. With the content and photography team, they wrote a beautiful story and attached some photos that brought out the characteristics of the lively and loving Zoey. With posts that went out on Facebook, Twitter, Instagram and SnapChat, each MindShifter created content on their personal profiles and posted across over 30 social media groups that catered to pet lovers and adoptions. The response was phenomenal with over 1,000 interactions and over 80 shortlisted calls within five days. They also cross promoted Zoey’s need for permanent love through a widely popular hashtag, #AdoptDontShop which had an outreach of over 100,000 across social media. People who contacted Zafar were varied in nature—there were dog breeders pretending to be dog lovers, boyfriends who wanted to surprise their girlfriends and students who were bored at the prospect of a long summer vacation. While the idea of getting a lively, beautiful and young Lab was bound to get tons of responses, most failed to have a long-term plan or weren’t part of a unanimous decision to add a family member. However, after several WhatsApp interviews, phone calls and house checks, they found the perfect family for Zoey. When Naina, her husband and her son, Vedant entered to meet Zoey, everyone knew they were all made for each other! Their love, affection and warmth seemed to match exactly what Zoey had to give back. One Friday, the MindShifters celebrated Zoey’s last day in office with a family portrait (soon to be framed at their entrance), individual selfies and constant hugs! With a heavy heart but a big smile, the MindShifters bid adieu to their beautiful bundle of joy, Zoey, as she set out to be part of a home where she could add joy and get tons of it back too, forever. 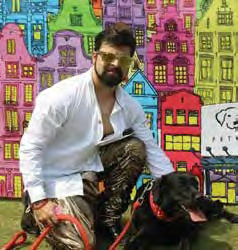 http://www.dogsandpupsmagazine.com/wp-content/uploads/2016/07/Zafar-and-Zoey.jpg 127 152 Dogs and pups Magazine http://www.dogsandpupsmagazine.com/wp-content/uploads/2017/05/1254nal.jpg Dogs and pups Magazine2016-07-18 13:04:202016-07-19 15:38:17How Zoey found home? It is not miracle, It’s Magic! Here’s an insight into a fascinating story of every emotion known to human involved, thus making me believe that ‘My Dog is My God’. MAGIC is the name! Yup you read it right. I call him MAGIC because he is ‘magical’ in every sense of our journey so far. Now, know how this ‘magic’ happened to me. It was on 6th July 2015, with the help of a clutch and a friend, I was very reluctant going out of my home after almost seven months, because on 5th December 2014 I met with an accident in which I almost lost my leg, thus lost my job and finally lost all my social life and leading me to depression. Going out of home after such a long time was something else and on the way I saw a pet shop. So limping I entered and saw a cage with four black pearls. I asked for few biscuits from the attendant to feed them. As soon as I poked one inside the cage a pup just took a leap and snatched it like any other pooch. But unlike any other pooch his took that biscuit and gave it to his sister who seemed unwell, this repeated thrice before he ate one and that moment he took my heart and I decided to take him home. I still remember the moment I entered my home and I told mom, “Here’s your grandson.” She laughed after seeing me happy after so many days. I was going through loads of physiotherapy sessions, so I was not able to play with him much. One-day my physiotherapist did not come and this little furry kid who merely weighed around 8-10 kg picked my ankle weighing about 4 kg and started dragging towards me, bringing tears to my eyes. The same time I decided that day I will work hard and the only thing which was missing was the motivation and reason that this kid gave me. MAGIC is the naughtiest Labrador on the planet who socialises with every dog and at the same time is very intelligent at the age of six months. 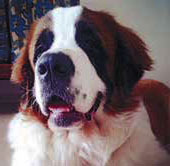 He won six prizes at pet fests including the ‘Cutest Dog’ in big breed category. Now I fear nothing, because I know I have a dog who blessed me and blessing me every day. He is just a rollercoaster ride who has given me goose bumps and joy at the same time. To conclude, I would like just to say there no love which can be compared to a dog’s love for his pet parent. And today I am proud to say that I am a parent of such a ‘magical’ creature created by God, because he cannot come personally to give love to everyone. 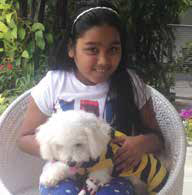 Signing off a proud pet parent Sidhant Bhatia and his cutest kid MAGIC! WOOF-WOOF! http://www.dogsandpupsmagazine.com/wp-content/uploads/2016/05/Untitled-3.jpg 122 187 Dogs and pups Magazine http://www.dogsandpupsmagazine.com/wp-content/uploads/2017/05/1254nal.jpg Dogs and pups Magazine2016-05-16 15:50:372016-05-16 15:50:37It is not miracle, It's Magic! Last year, a street dog gave birth to six young ones, out of which only one female puppy survived. I gave medical care to the pup when she got hurt. Since then, she and her mother became friends with me. I named the little puppy Choti (which means ‘younger’) and her mother Mothi (which means ‘older’). Few months later, Mothi again gave birth to six young ones. It was amazing to see that both Mothi and Choti were taking care of the young ones. Soon, the litter became one and a half months old. went away. Next day, I noticed some movement in my backyard. On looking closer, I found there were four pups. Mothi had shifted four of her pups to our backyard, I wondered what happened to the other two. After three days, Mothi stopped coming to see her pups while Choti continued visiting them. I tried to look for Mothi in the village but could not find her. The pups were crying to be fed. I gave them a bowl of milk, which they happily lapped up. Two days later, Mothi returned. Though I was happy to see her alive, I was very disturbed to see her in a very bad shape. I tried to feed her but she did not eat or drink anything. She spent some quality time with her pups and then left, never to come back again. She died the same day. It was a shocking moment and I suddenly remembered the other two pups, who might still there at the original place. When I went there to pick them up, I was shocked to see them gone. It left a feeling of void in my heart. Soon, the four pups became a part of our family and became friends with my parents and grandma. Choti kept visiting her little siblings everyday and it was amazing to see the older sister taking care of the younger ones. That time, I also remembered the instance when Choti used to give her share of food to Mothi so that she could feed the young ones. The puppies grew and were three months old when a little girl came to our yard to collect flowers. She saw the pups and fell in love with the white pup. She wanted to adopt the pup and my dad relented. Next day, a little boy adopted the white and chocolate spotted puppy. We were left with two puppies – Lucy (female) and Debu (male). Few days later, Lucy and Debu were also adopted by loving families. Now, I know why Mothi left the pups in our backyard, she somehow knew that she will soon leave for her heavenly abode and she trusted me to take care of her pups. Let us all be kind to our stray dogs as they too deserve to live happily. Zozo taught me Real meaning of love! My pet Zozo is one I care most after my parents. He taught me how you love others and he taught me the real meaning of love. There are so many things I want to own in life, such as good job, house, car… the list is endless but Zozo just wants to be loved and that’s it! For him, I’m his whole life and this is how we truly love each other. 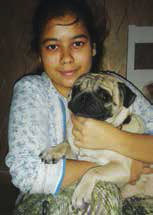 Zozo came to my life on 15th August 2011. He was very naughty but very cute. He was like a small baby. Today, I realise how a mother first scolds their children and calms down to love them. Zozo is a foodie and loves to gorge on food. One-day he slyly went to our pooja ghar and he then sat in his basket very quietly, pretending as if nothing had happened but we got to know as his mouth was all oily with ghee. He is the best gift I’ve ever got and very thankful to my brother who bought Zozo from Bengaluru. A thought that we will have to part someday really scares me but one thing is for sure I will remember him till my last breathe. Love You Zozo! http://www.dogsandpupsmagazine.com/wp-content/uploads/2015/05/Untitled-413.jpg 100 153 Dogs and pups Magazine http://www.dogsandpupsmagazine.com/wp-content/uploads/2017/05/1254nal.jpg Dogs and pups Magazine2015-05-21 15:30:462015-05-21 15:30:46Zozo taught me Real meaning of love! Here introduced is our little boy Baxter the prankster. He loves biting wood. We had plain furniture before we had Baxter and now we have a carved one. Usually trees have roots underneath. But trees in our garden have their roots above the ground. Credit must go to Baxter. He’s nothing other than a chalta-firta soft toy. We love him a lot. He’s a family member, not a pet or not just a dog. Our life is incomplete without him. Muahh… Baxter! http://www.dogsandpupsmagazine.com/wp-content/uploads/2015/03/Baxter1.jpg 111 170 Dogs and pups Magazine http://www.dogsandpupsmagazine.com/wp-content/uploads/2017/05/1254nal.jpg Dogs and pups Magazine2015-03-18 12:09:382015-03-18 12:10:35Baxter the prankster! Meet my Buzo. He is approximately six years old today. I rescued him from a bunch of gypsies in Gurgaon (Delhi NCR). I wanted to foster him and give him a good home but never knew that his new home will be with me. Every single day I want to go home at the earliest so that I can play with Buzo. With him I feel he is my handsome boy for life. I treasure him more than anyone. He is Swati’s special. He’s sure you’ll come back and that’s why he stays How long will he suffer? How many more days? I wish you could see how a waiting dog dies. These are a few of my favorite things…….. I am sparkle a 3 year old great guy(spaniel)… I love my Mom and Dad and ensure that they dance to my tunes – I certainly have trained them well. 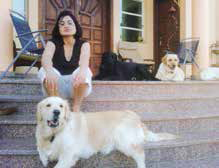 I love my morning walks specially the times when I meet my friends sasha(lab) & pixie ( pom). I make it a point to keep people around me busy and insist that all my needs are met- specially my walks- for me every moment is a walk moment I enjoy the outdoors. If people around me are busy- I just don’t take no for an answer- I am very vocal about my needs- I go to my dad- throw a tantrum and ensure that he understands. I also have a fetish for stones of all shapes and sizes- inspite of all my toys- I just adore them and every walk time make it a point to pick a precious one and get it home. I love the word “Lets go”- I guess it gets out the gypsy spirit in me as I love to roam. I love a good romp too- nothing like running in an open area, that’s the reason I love my holidays in the hills as I can run to my hearts content. Hey I don’t want to miss out my squeaky toys. And I definitely love people and parties as I can smuggle in a scrumptious snack or two. My mom keeps an eagle eye on me but to tell you the truth the soulful looks to guests always work…..